Margaret R. Wilkerson, age 90, of Keysville, VA, passed away peacefully with the grace and dignity with which she lived on Wednesday, August 9, 2017. 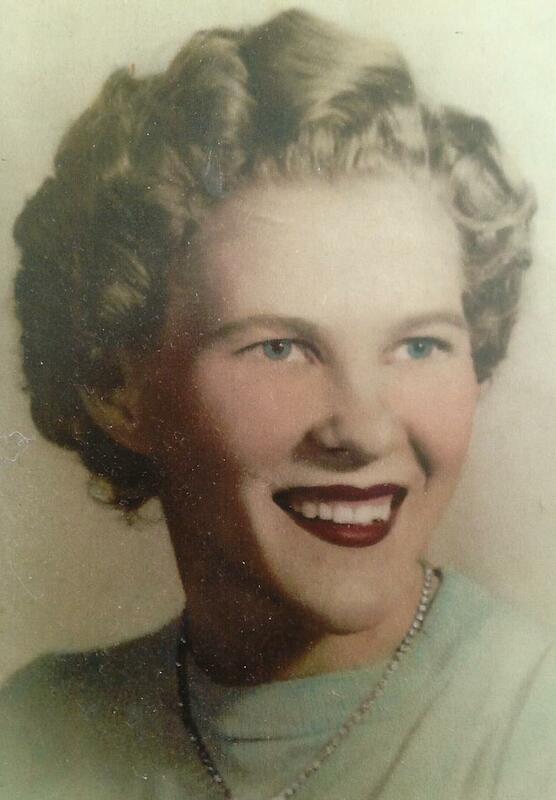 Margaret was born on June 27, 1927, to the late Sallie Bett and Luther James Rickman. She was preceded in death by her husband, Irvin O. Wilkerson; sisters, Dorothy Bradsher and Alice Murray; and three brothers, Eddie Rickman, Philip Rickman, and Jake Rickman; two step-brothers, Woody and Ben; and one step-sister, Shirley. She is survived to cherish her memory one special sister, Betty Hardy and her special brother-in-law, W. C. Hardy; two step-sisters, Ruby Long and Ellen Spencer; five children, Deborah Trammell, Dennis Wilkerson, Richard Wilkerson, Lisa Wilkerson, and Donna Waterman (Randy). She was the loving Nannie of five grandchildren, Roland, Michael, Samantha, Cody, and Leslie; one step-granddaughter, Angie; nine great-grandchildren, Josh, Carter, Kenneth, Chelsey, Mikie, Cameron, Tevin, Bryson, and Jaxson; three step-grandchildren, Wesley, Hunter, Mikayla; and numerous nieces, nephews, and cousins. And prior to her death she had received the news of her first great-great-grandchild. Margaret was employed at the Keysville textile mill, Virginia Crafts/WestPoint Pepperell for greater than 30 years. And valued her coworker family, often stating her mill work years were her best years. She was an active member of Union Grove Baptist Church for greater than 50 years, priding herself in obtaining a yearly pin for perfect attendance. She loved her church family. The family would also like to acknowledge her late aunt and uncle, Lester (Skit) and Nathanial Watts, along with her many cousins, who raised her from age 10 when her mother died. Margaret was so very proud of all her family and friends. She fought a good fight, her work is done and it’s time for her to rest. Funeral services will be held at 2 p.m., Sunday, August 13, 2017, in Union Grove Baptist Church with interment to follow in the church cemetery. The family will receive friends at the Browning-Duffer Funeral Home in Keysville, on Saturday, August 12, 2017, from 7 to 8:30 p.m. The Browning-Duffer Funeral Home in Keysville, VA, is serving the family. To Debbie…my sister in law, and Michael and Roland, my nephews, and your families. So sorry for your loss. Margaret was mom’s best buddy. They worked together, and shared all of you together. So glad I visited her in June. May God comfort each of you. She was definitely a woman of grace and dignity who loved her Lord and family. I love you all and miss you…proud you are my family. Our beloved Margaret will be greatly missed. She always had a smile and showed her love for her family. Sending sympathy and prayers to her family. Such a loving caring lady . I’m honored to have had her in my life,Very thankful. . . I had almost three years with her that I will treasure for the rest of my life.My prayers are with the family! I’m so sorry to hear about your mom. I always enjoyed talking to her. Margaret was one of the nicest people I have ever met. I was blessed to have spent almost every day for over three years with this wonderful, sweet lady. I enjoyed sitting on the porch with her while she told me stories of her younger days. I looked forward to seeing her warm, beautiful smile every morning and hearing her soft, almost child-like voice. She was one special lady and although she will live on in our hearts and memories, she will be forever missed. Rest in peace my wonderful friend. My prayers for comfort to all her family.